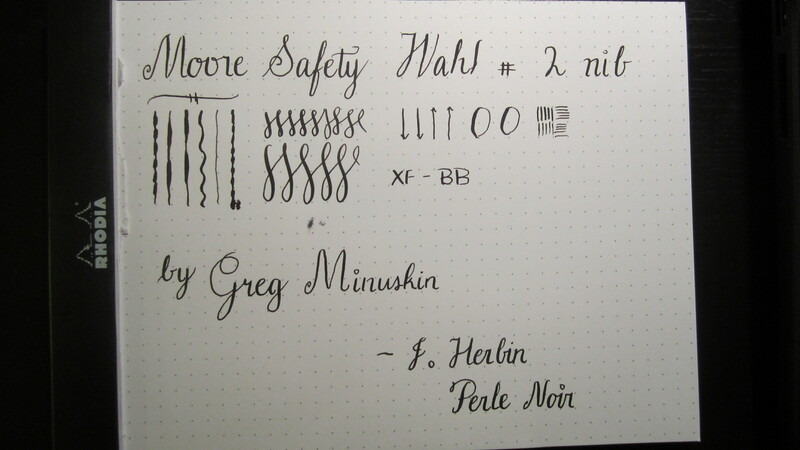 This subtle beauty of a flex pen comes straight from the website of the illustrious Greg Minuskin. 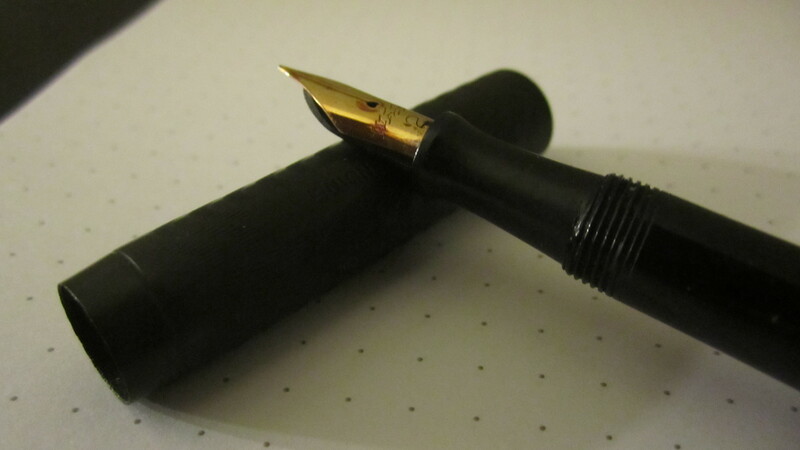 This was my first fountain pen that got me into vintage flex pens and Copperplate calligraphy. This pen is an absolute joy to use. The Wahl nib is especially responsive making anything from hairlines to bold downward strokes a breeze. It took me a little while to get the feel of the pen, but it became progressively easier. I found it easy because I used to always write in cursive as a kid. The stroke order and flowing motions was something that we had to practice back in my preschool in India. Was my first time dealing with a lever filler. Pretty easy and convenient to fill. Here’s another picture of the main section of the pen. 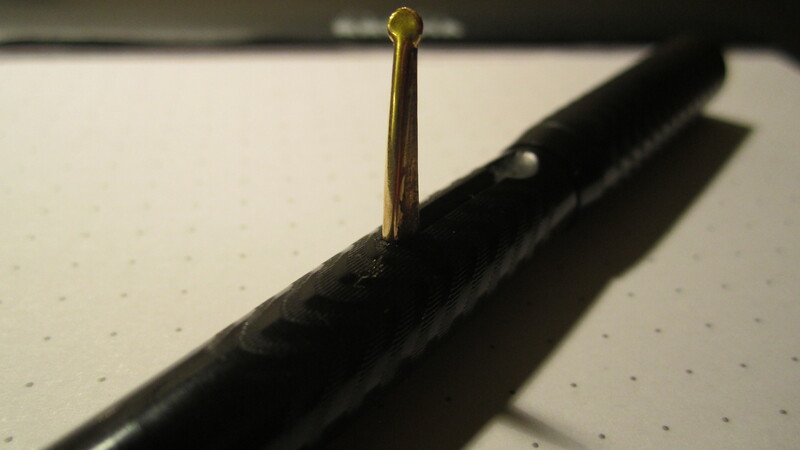 The entire body is BCHR (black chased hard rubber). 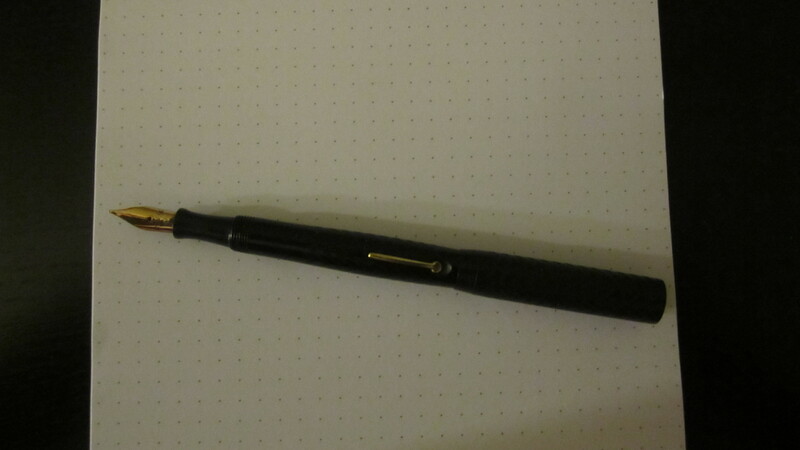 The ripples on the pen cap look really nice under the proper light. One thing I possibly found a problem was with my grip, which was hard to properly maintain for long writing sessions. The only thing that was somewhat securing my grip were the cap threads. Had to post the cap, otherwise the pen is too small for my hand.